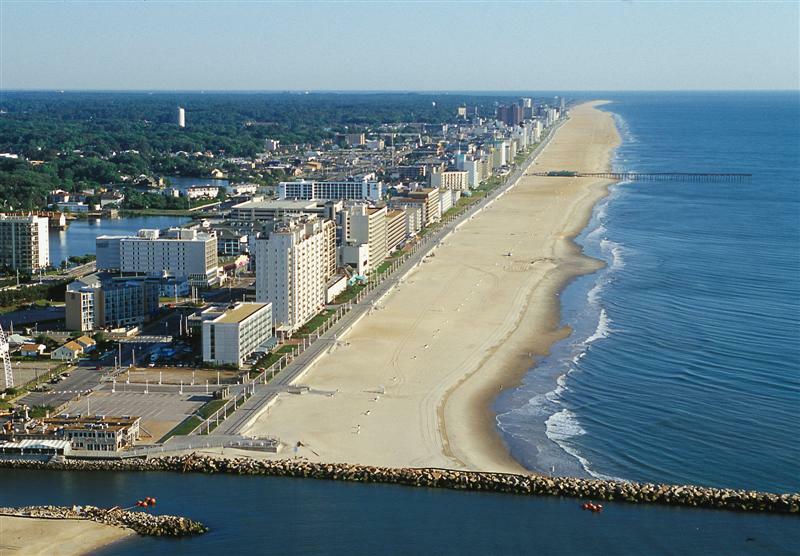 Virginia Beach, Virginia is a coastal city that lies where the Chesapeake Bay meets the Atlantic Ocean. It’s known for its three-mile boardwalk, culinary scene, aquarium, and rich history. All the beauty the city has to offer hasn’t kept it immune from the challenges of drug and alcohol addiction. If you live in Virginia Beach and have fallen victim to substance abuse don’t hesitate to seek treatment. There are enormous resources in at your disposal. Virginia Beach has several distinct neighborhoods, including Alanton, Bayside, Chesapeake Beach, Princess Anne, Pungo, and Lynnhaven. It has the highest population of any city in Virginia. Virginia Beach residents are 67.7% white, 19.6% African American, 6.1% Asian, and 6.6% Hispanic or Latino. The median income is over $67,000, which is a bit higher than the state’s median income of $66,000. The Virginia Beach poverty level is 7.87%, which is lower than the state’s average of 11.2%. Even with lower poverty and a higher median income, Virginia Beach is experiencing many of the same drug issues that are plaguing the rest of the state. Due to the rise of opioid use in Virginia Beach, police officers in the area began carrying Narcan in 2016. Narcan is a medicine that is used to reverse the effects of an opioid overdose. From March-April of 2016, Virginia Beach officers were able to reverse the effects of 30 opioid overdoses. Despite their efforts, Virginia Beach experienced an increase of 41% in opiate-related deaths from 2015 to 2016. Virginia Beach drug arrests averaged 474.9 arrests per 100,000 people from 2013-2015. This is just below the state average of 516.1. Most arrests were marijuana-related, but there are concerns regarding the increase of arrests involving opioids, including fentanyl, which is becoming increasingly popular. Fentanyl is an opioid available by prescription but is also used illegally and mixed with, or substituted for, heroin. In order to help combat drug use, Virginia Beach schools have revamped their drug education curriculum. They begin teaching about prescription drugs in elementary school to educate children about the dangers they pose if they’re not used correctly. Virginia Beach is reflective of larger drug trends in the Commonwealth of Virginia. Statewide, fatal drug overdoses increased 38% from 2015-2016, which state officials attribute to synthetic opioids, fentanyl, and heroin. Fentanyl deaths rose 175% during the same period. In November 2016, state officials classified opioid addiction as an epidemic and a public health emergency. In Virginia, fatal overdoses are now the number one cause of accidental death. Though opioids are a significant area of concerns, most drug arrests in the state were related to marijuana. The number of opioid arrests has increased significantly over the past decade. As of 2015, 15% of all drug arrests were related to opioids. If you or a loved one needs drug or alcohol treatment in Virginia Beach, there are a number of options available. It can be difficult you admit you have a problem, but once you do, there are resources to help you get clean and rebuild your life. The first step is to give us a call and let us find the most suitable treatment center to fit your needs. You might make your initial contact with a treatment center over the phone, online, or in person. This first contact is called pre-intake. During pre-intake, the treatment program will get your basic information, including your name, date of birth, and the reason you’re seeking treatment. If you have any questions or concerns about the treatment program, this is a good time to ask, although you should feel free to ask questions at any time. During pre-intake, you’ll make an appointment to go to the treatment center. This next step is called intake. During intake, you’ll meet members of your treatment team. Because of the complexities of drug and alcohol addiction, a team approach is typically used so you can be completely cared for. Members of your treatment team will normally include a doctor or other medical professional, a mental health professional, and a case manager, who oversees your care. Each member of your treatment team will perform an assessment, which is an opportunity to get to know you, your history, and your treatment needs. During intake, you’ll have the opportunity to learn about your treatment plan. If you’re doing outpatient treatment, you’ll learn about your program schedule and requirements. If you’re doing inpatient treatment, you’ll learn about where you’re staying and what you’re living arrangements will be. If you’re staying in a residential treatment center, you may receive a tour of the facility and learn the rules and expectations of where you’re staying. The facility may restrict visitor, for example, and may have rules about what you can and cannot bring into the facility. You’ll also make your financial arrangements during intake. Insurance may cover part or all of the costs. Your treatment program will work with you to make arrangements that meet your needs. Intake is another great time to ask questions. If you have any concerns about your treatment plan, feel free to bring them up. It’s your recovery, and it’s important that you feel confident and comfortable with the process. During intake, you meet with individual members of your treatment team. This is called assessment and is the process of your team getting to know you, your history, and your needs. In order to put together an effective treatment plan, your team needs to know who you are and whether you have any underlying issues that might effect your treatment. You’ll meet with a mental health professional, such as a counselor or therapist. They will have you fill out forms and answer questions on standardized questionnaires, as well as interview you. Though it might seem overwhelming, it’s important so they can get to know you and what has and hasn’t worked for you in the past. You will also meet with a doctor, nurse, or other health professional. They will give you a physical and take blood and urine samples, as well as ask you about your health history. This is to help them know your health history and make sure that any underlying health issues you may have are addressed during your treatment. After your intake and assessment are completed, you will either begin detox or enter your treatment program. If you have drugs or alcohol present in your system, then the first step of your treatment is to detox. Detox, short for detoxification, is the process of getting drugs or alcohol out of your system. Though detox can be done at home, due to the severe nature of drug and alcohol withdrawal, it’s recommended that detox is done under medical supervision in an inpatient setting such as a hospital or residential treatment center. One of the most challenging aspects of detox is withdrawal. Your body has gotten used to a certain amount of drugs or alcohol in your system, and as it adjusts, there is a range of withdrawal symptoms you may experience. With a medically supervised detox, medications may be used to help you through the challenges of withdrawal. The severity of your withdrawal will be affected by a few factors. These include how long you’ve been addicted, the half-life of the drug (how long it lasts in your system), and whether there are any other disorders present, such as depression or anxiety. Using large amounts of cocaine can cause paranoia, hallucinations, and delusional thinking. If you’re withdrawing from a stimulant, the lack of sleep experienced during stimulant use can also cause psychosis. Medical illness. Many opioid users started using opioids to treat pain. As you withdraw from opioids, the pain may return. Your detox staff can provide you with alternate pain relievers to make the symptoms of withdrawal more manageable. Threat to self. Withdrawal can cause depression, and that can lead to thoughts of self-harm. Your detox staff is there to assist you and help you cope with whatever you may be feeling. Although going through withdrawal can sound frightening, with assistance, you can absolutely make it through withdrawal and begin working on your recovery. Methadone. Methadone is used to assist those who are going through opiate withdrawal. It can be taken long-term under medical supervision. It helps to curb cravings, alleviate withdrawal symptoms, and it lasts for 24-36 hours. Buprenorphine. Buprenorphine is also used to alleviate the symptoms of opiate withdrawal. It also decreases cravings and alleviates withdrawal symptoms. Naltrexone. Naltrexone can be used to treat opiate withdrawal and alcohol withdrawal. It helps reduce cravings and can be taken as a once per month injection. Acamprosate. Acamprosate is used to treat withdrawal from a number of drugs as well as alcohol. It helps normalize brain activity and decreases cravings. These lower the risk of seizures and reduce anxiety during alcohol withdrawal. Barbiturates: Barbiturates also help reduce the symptoms of alcohol withdrawal. After you’ve completed your detox, the next step is to begin your treatment. This may take place in an inpatient center or an outpatient center, depending on your needs and the recommendations of your treatment team. Inpatient treatment centers allow you to focus entirely on your recovery without the distractions of the outside world. They give you 24/7 support, which can be vital as you begin to live your life without drugs or alcohol. Inpatient treatment programs vary. Some have specific focuses, such as working with executives or with LGBTQ individuals. Schedules and program offerings vary as well. The length of stay at your inpatient program depends on your needs. Some stay for a week or two, while others stay for 30 days or more. Residential treatment programs are what most people think of when they hear the word “rehab.” These are places where you live full-time. Your day is scheduled and includes meals and different types of therapy and educational programs. Depending on the treatment program, you may have therapeutic options available, such as art or music therapy and equine therapy. Some also offer spa amenities such as yoga classes and acupuncture. Living arrangements also vary. You may have your own room, or you may have roommates. Living with someone who is going through the same things you are can provide you with invaluable support. Residential treatment programs are intensive and relatively short-term. They’re designed to get you back on your feet so you can return to your life with the tools to stay clean and sober. Partial hospitalization programs provide a happy medium between inpatient and outpatient care. If you’re enrolled in a partial hospitalization program, you go to the treatment center up to five days per week for up to eight hours each day. Your treatment day is structured and includes group therapy, individual therapy, educational classes, and other therapeutic activities. If you have a strong support network, partial hospitalization programs can be very successful. They allow you the flexibility to attend to whatever obligations you have in your day-to-day life, while still providing you structured support. Outpatient treatment centers provide you with a treatment program and structured support, but you live at home and can continue to work and meet other outside obligations. If your addiction is less severe, or you have children to care for, an outpatient treatment center can help you recover without leaving your daily life behind. Intensive outpatient programs provide structure and treatment, but on a more flexible schedule that allows for work or family obligations. The exact schedule varies, but typically includes individual and group therapy as well as classes that provide you with the tools you need to stay in recovery and prevent relapse. At the beginning, you may attend programming 10-12 hours per week or more, but this tapers off as you become more confident in your recovery. Whether you choose to do an inpatient program or an outpatient one, therapy will be an essential part of your recovery. There are different types of therapy, and your treatment program will use one or more of these types of therapy to help you rebuild your life. Cognitive behavioral therapy, or CBT, is an effective type of therapy for those experiencing addiction as well as other underlying disorders such as depression and anxiety. CBT teaches you to recognize negative, unhealthy, or distorted thoughts. These negative thoughts can lead to negative feelings and behaviors. Instead, you recognize those thoughts and replace or reframe them with positive thoughts. For example, you might feel you need to do everything perfectly, and when you fall short of this unrealistic standard, you experience negative thoughts and feelings. Your therapist would help you recognize this distorted thinking and replace it with reasonable expectations. Dialectical behavioral therapy is similar to CBT, but it builds on it by providing you with additional tools for managing thoughts and stress. DBT uses a combination of group and individual therapy. Group therapy is focused on teaching you tools to assist you with staying clean. These include mindfulness, which is an awareness of your thoughts, distress management, which is being able to manage uncomfortable feelings, interpersonal effectiveness, which is being able to have positive interactions with others, and emotional regulation, which is being able to sit with uncomfortable or unwanted feelings. Contingency management may be done in an individual or group setting. With contingency management, you receive tangible rewards for positive behaviors. You might receive a cash prize or a voucher for a clean drug test, for example. Vouchers may increase in value as your recovery progresses and you stay clean for longer periods of time. You may also receive tickets for a drawing where you can win a larger prize. EMDR helps you recover from trauma. Many people who struggle with addiction have experienced one or more traumas. With EMDR you recall the trauma under the guidance of a therapist, who provides bilateral input while you recall the memory. This may be following an object with your eyes or tapping on your hands. This bilateral movement helps you reprocess the trauma, and lessen its impact on you and your life. Multidimensional family therapy, or MDFT, is most often utilized with teens or young adults. MDFT involves the whole family in the therapeutic process. The therapist meets with the teen or young adult individually, with the parents individually, and also meets with the family as a whole. During sessions with the teen or young adult, the therapist will help them improve decision-making and problem-solving skills, and develop self-monitoring behaviors. During parental sessions, the therapist will work with the parents to help them reflect on their parenting style. During family sessions, the therapist will help the family integrate what they’ve learned during individual sessions. Motivational interviewing, or MI, helps those struggling with addiction to find inner motivation to change. The therapist is an ally in this process and helps the person with addiction determine if their behaviors are helping them or hindering them in the process of reaching their goals. This is a short-term therapy that is often integrated with other types of therapy. The Matrix Model uses several different styles and approaches to therapy and has been found to be especially effective in treating those recovering from methamphetamine and cocaine addiction. The therapist acts as a guide and encourages you through several different types of therapy, including CBT, group therapy, attending 12-step meetings, and family therapy. It’s an intensive treatment model that’s designed to last 16 weeks but can last longer if needed. In addition to therapy, the Matrix Model includes a social skills group to help you learn to interact with others in a healthy way, and a relapse prevention group, which teaches you skills to identify and avoid potential triggers. The Matrix Model also includes family education, so your family can effectively support you in your recovery. The Matrix Model also includes random drug testing. If you test positive, you continue treatment, and your positive result is discussed as a part of your ongoing recovery. Group therapy can take place in a number of settings. In group therapy, you work with other people who are also recovering from addiction. You discuss issues and challenges that you face as you rebuild your life. Group therapy can benefit you in several ways. You learn from other people who are going through the same things you are, and you can help others by sharing your experiences. You may start lasting, supportive friendships that go beyond your therapy sessions. Therapy groups may have different focuses. There may be groups just for women or adolescents, for example. The groups may focus on education, developing skills, or learning how to better interact in relationships. Group therapy has a group leader, who is typically a social worker, psychologist, or substance abuse counselor. The group leader helps to facilitate discussion and looks out for the health and safety of group members. Your health. While struggling with your addiction, you may not have been attentive to your health. Addiction can also cause health problems. It’s important to continue to treat any underlying issues that came up during treatment, as well as take any prescribed medications. A safe home. If you’re leaving an inpatient treatment program, you’ll need a place to stay. Trusted, accepting friends and family can be a good choice, or you may want to consider sober living for more structure and support. A sense of purpose. Addiction can be all consuming. As you recover, you need to find new outlets, passions, and hobbies. You may find a sense of purpose through work, through volunteering, or through new activities. A sense of community. When things get difficult, you need a support system to turn to. This may include family members, friends, or members of a support group. If you’re not quite ready to live independently, a good solution is sober living. Sober living homes help provide accountability and structure as you resume your life. Sober living homes have rules and expectations that you need to meet in order to continue living there. These may include paying rent or utilities, doing chores such as cleaning or cooking, attending meetings with your housemates, and being home by a certain time. You may also be required to work, or be actively seeking work or going to school. Sober living homes typically allow you to stay 90 days or more. It gives you a sense of independence, but you don’t have to face sobriety alone. You also have a safe space where no alcohol or drugs are allowed, so you don’t have to worry about temptation, and you have housemates to turn to when you’re feeling down or struggling. Another outlet for finding community and purpose is through attending support groups. The most well-known support groups for those recovering from addiction are 12-step groups. These include Alcoholics Anonymous and Narcotics Anonymous. 12-step groups are a bit different from group therapy, in that they don’t have a group leader. Instead, groups are “led” by fellow members. Meeting formats vary, but typically involve members sharing their experiences and challenges. As a part of 12-step recovery, you may also find a sponsor. A sponsor is a member who is further along in their recovery who can assist you as you work through the program. There are also support groups run through treatment centers and non-profit organizations. These may have a social worker, psychologist, or addiction counselor as a group leader. They may have an educational component as well as provide an outlet to share your challenges and experiences. One-on-one support can provide you with vital support as you re-enter your life. You can find counselors through local treatment centers, or by getting referrals from your doctor or support group members. You may want to meet with multiple counselors in order to find one that seems like a good fit. Once you’ve selected a counselor, you’ll meet once per week or more. During sessions, you’ll discuss the challenges and situations you’re facing and ways to overcome those challenges. A counselor can provide you with support, educate you on new ways to handle situations, and just be there as a sounding board when you need to talk.